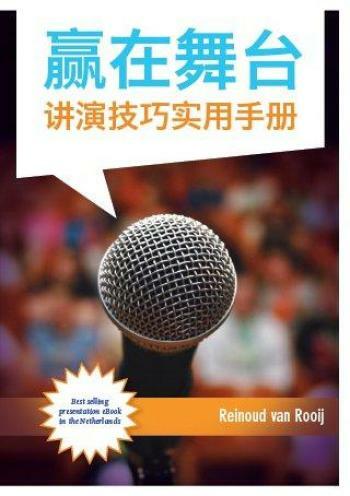 This book is specially for Chinese people who want to do a captivating presentation for a western audience. Inspiring book, full of ideas. Even if you only apply 10% of it, your presentations will become 90% better. Karin de Galan, the galan training school. Grab `Em! is practical and to the point: Reveal yourself! Thats when you will get your message across. Management Team magazine How do you convey your message in such a way that it inspires people, makes them enthusiastic and gets them involved? Is this just for a select group of passionate, talented individuals or can we all learn how? Good news: giving captivating presentations is a skill that you can learn, just like you learned to ride a bike. How? This will gradually unfold in this book. If you learn all of these skills and apply them, your presentations are guaranteed to make a long-lasting impression. Reinoud van Rooij (1968) has been fascinated for years, by the question: `what makes a presentation captivating? Using an engineer-like approach, he meticulously researched this by watching and giving hundreds of presentations. In his capacity as a trainer, he has taught presentation training courses in the business world for the last eight years. When he was a student of stand-up comedy (and the years thereafter) he discovered, on stage, what it takes to get your message across. He gathered all of this knowledge on giving presentations and put it together in this practical book.